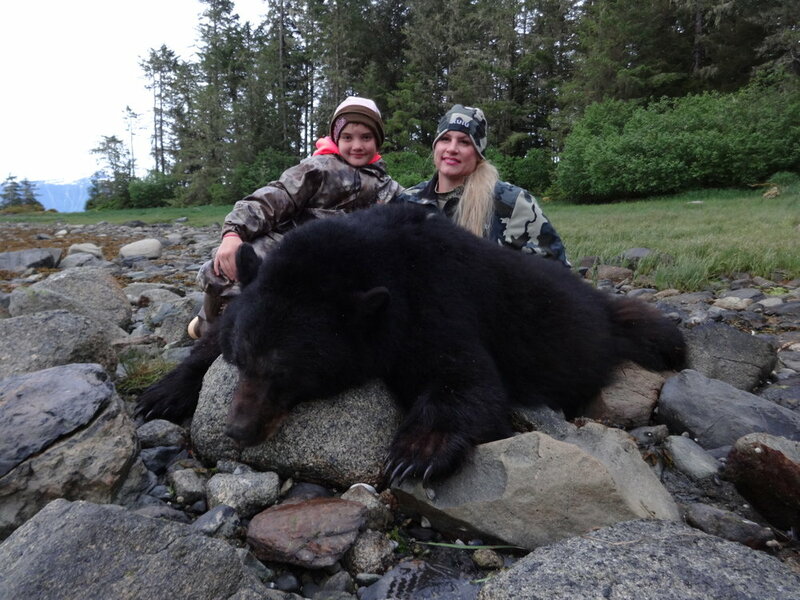 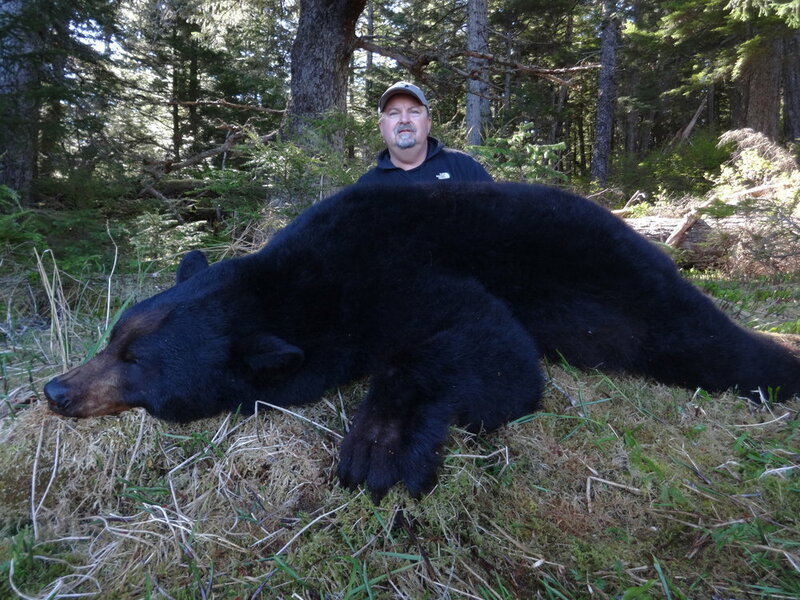 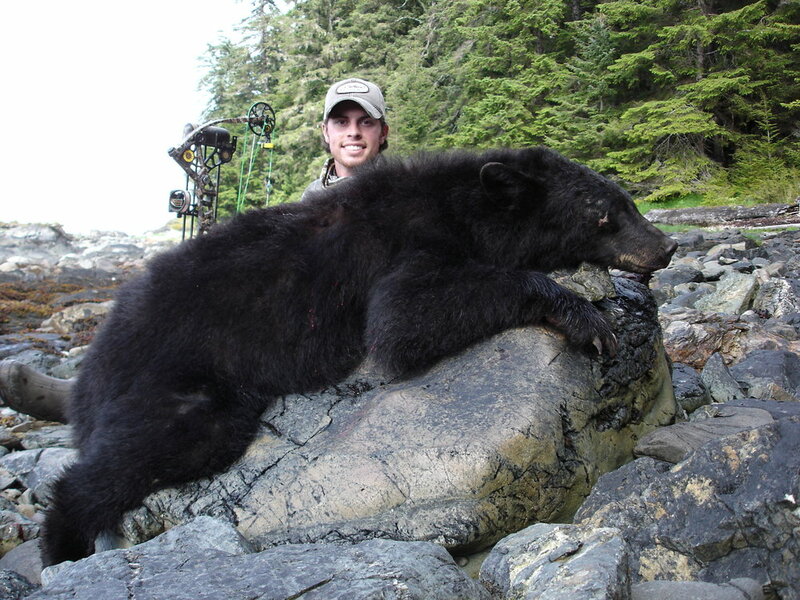 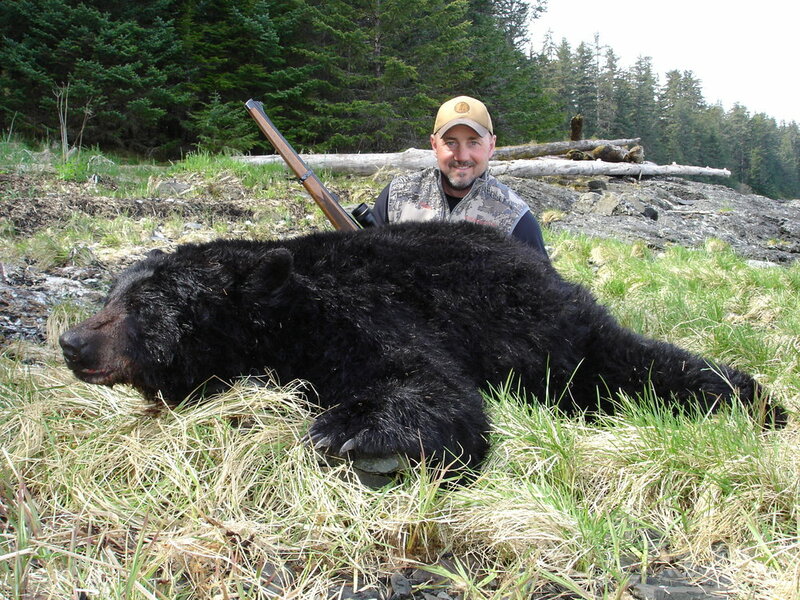 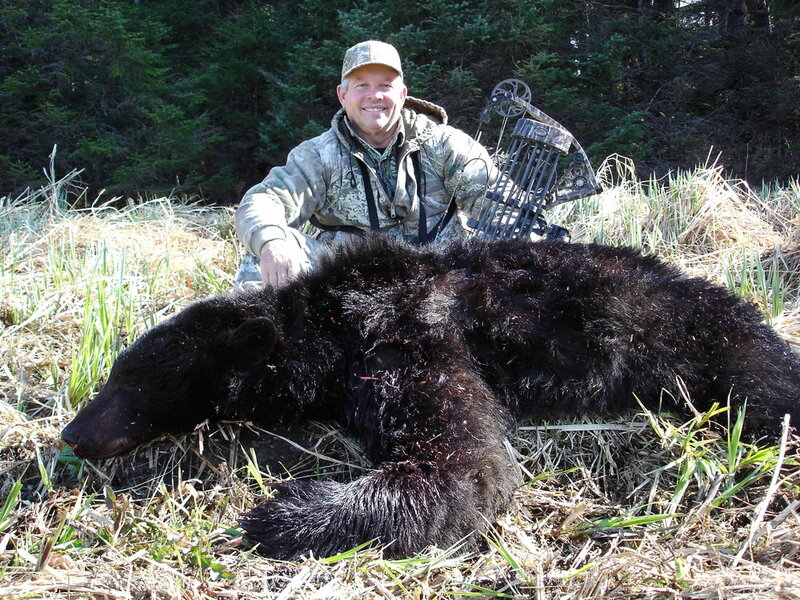 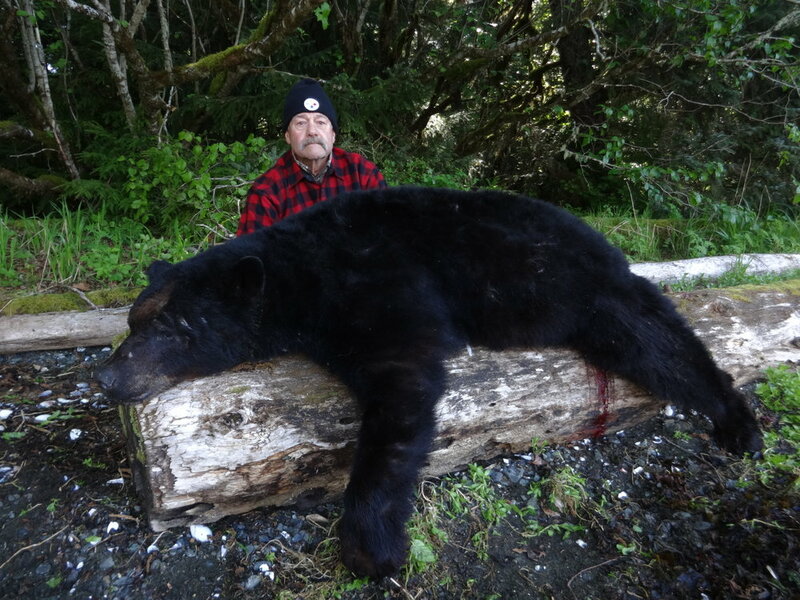 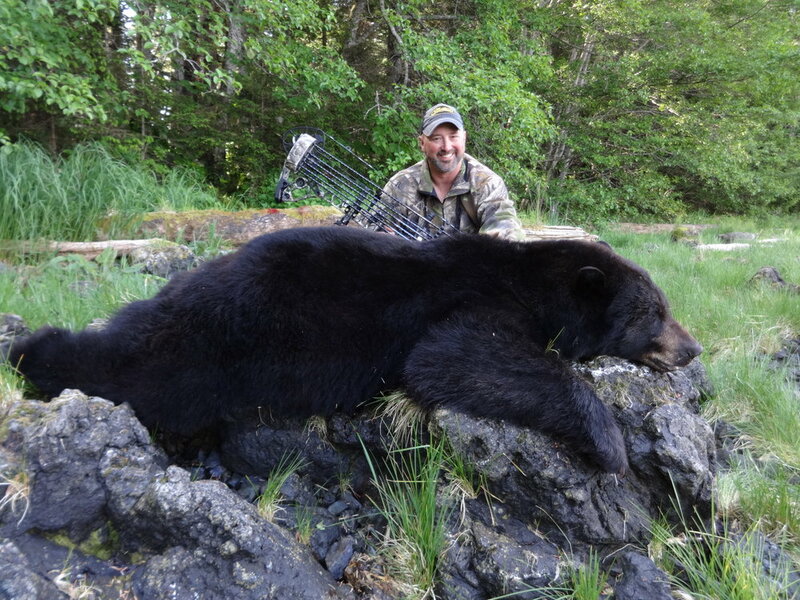 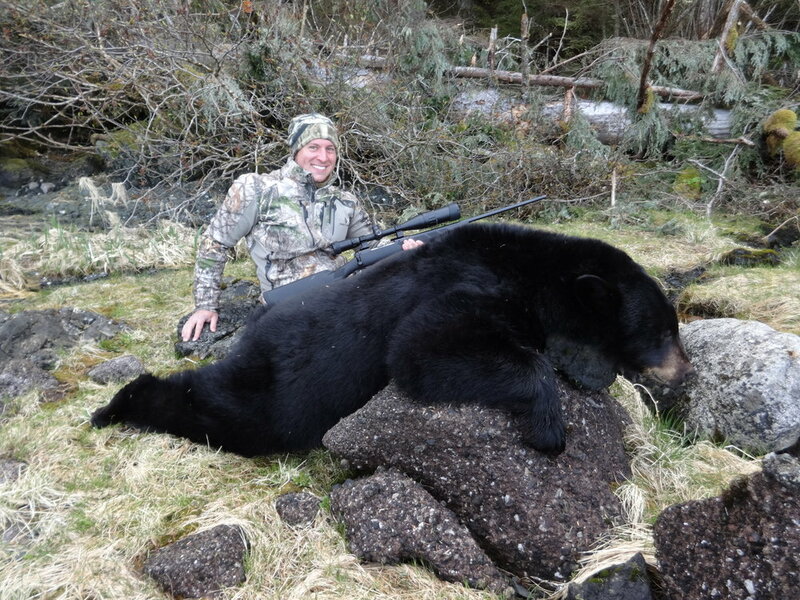 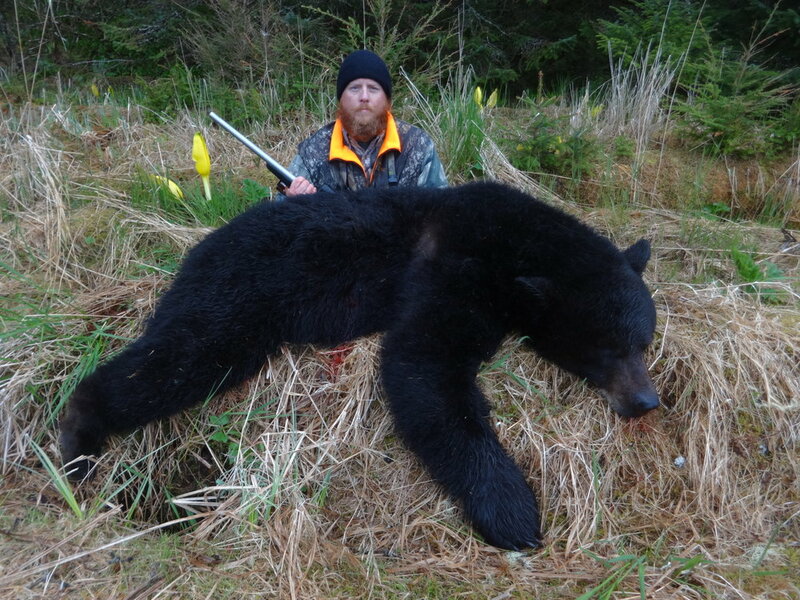 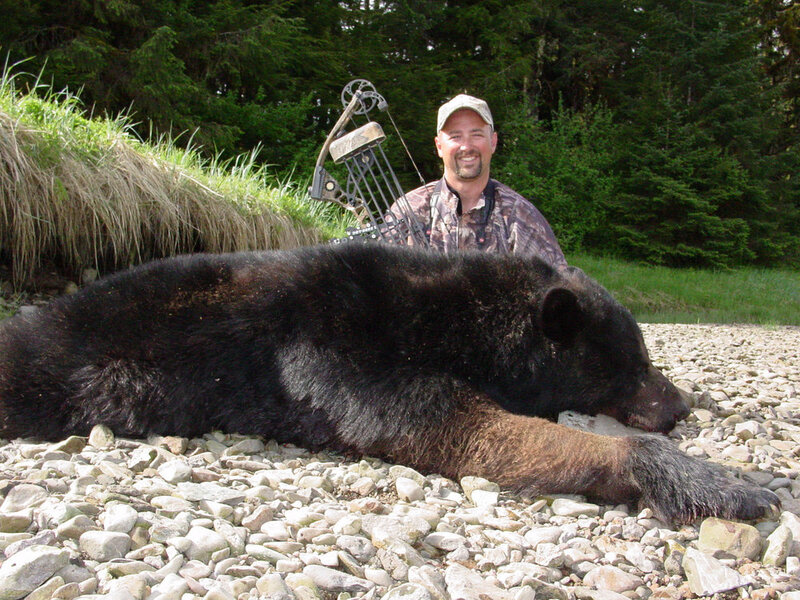 The black bear population is very high and trophy quality is excellent in the area I hunt. 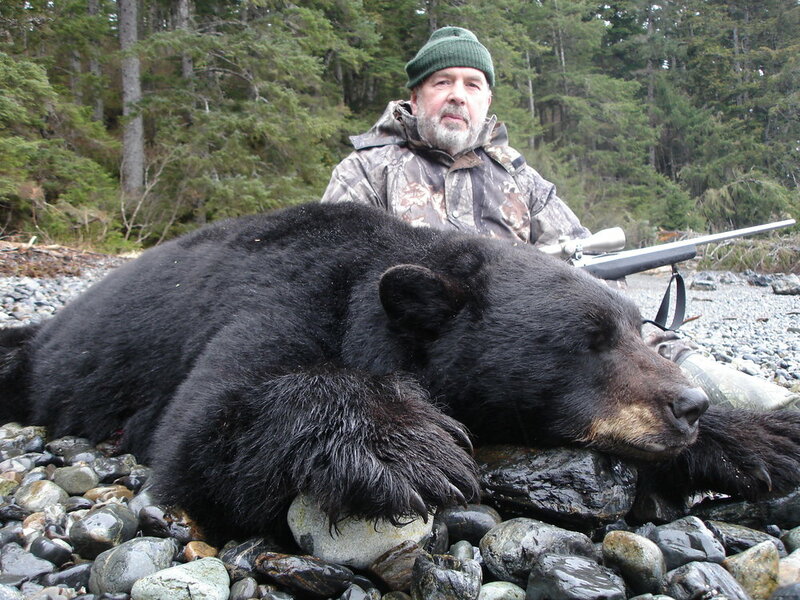 You will be able to look over several bears and be selective. 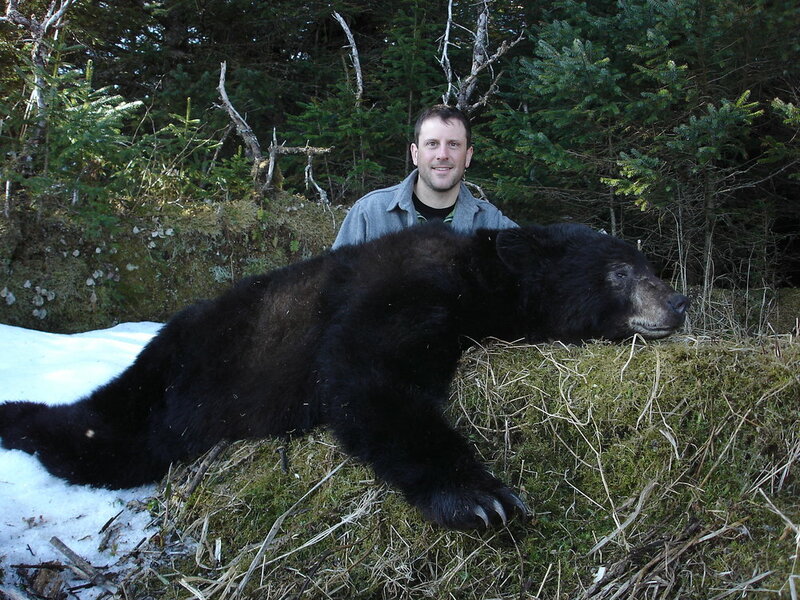 Bears in the 6 ½ to 8 foot range with 18 to 21 inch skulls can be expected. 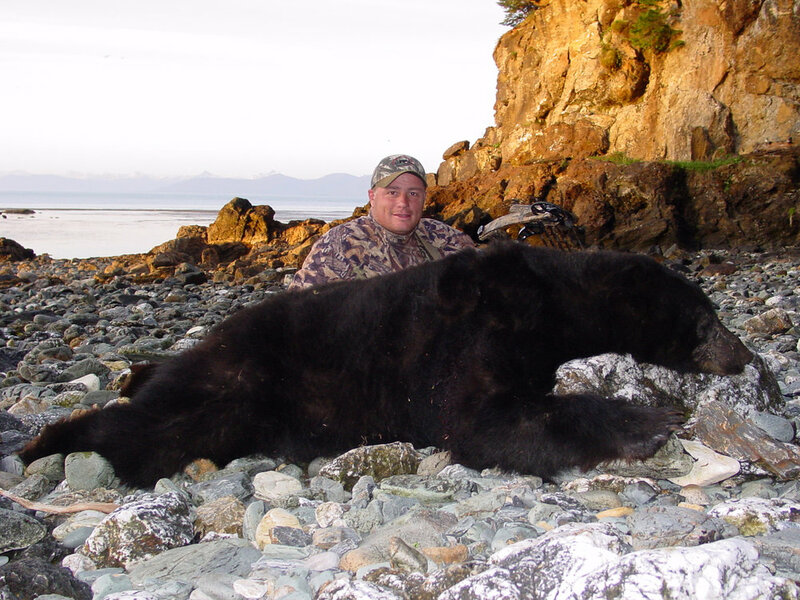 On the spring hunts we cruise the coastline in a 17' aluminum skiff glassing for bears. 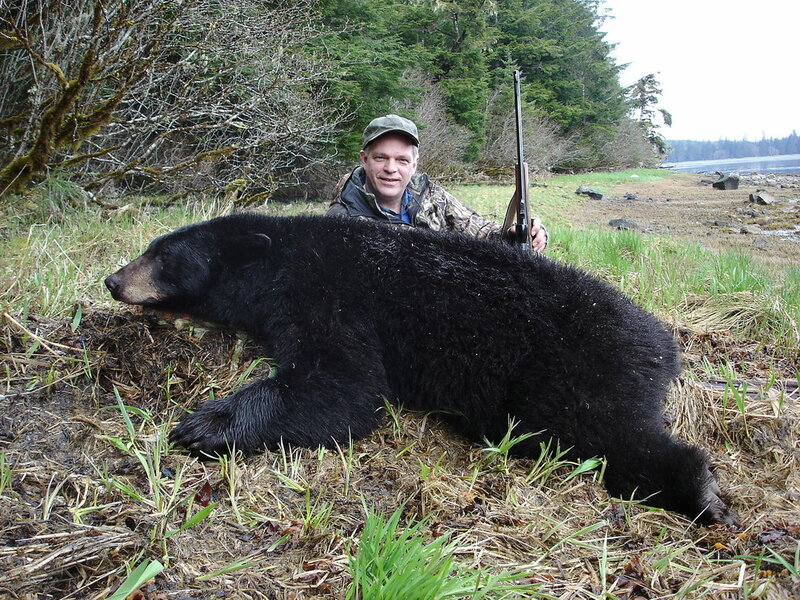 Once a bear is sighted we try to determine size and quality, then go to the beach and begin a stalk. 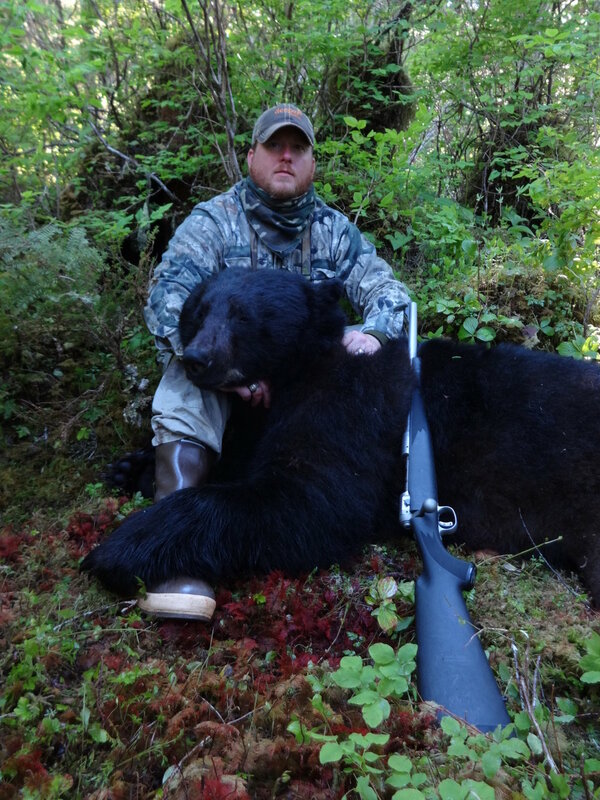 During the fall hunts the bears are concentrated on salmon streams. 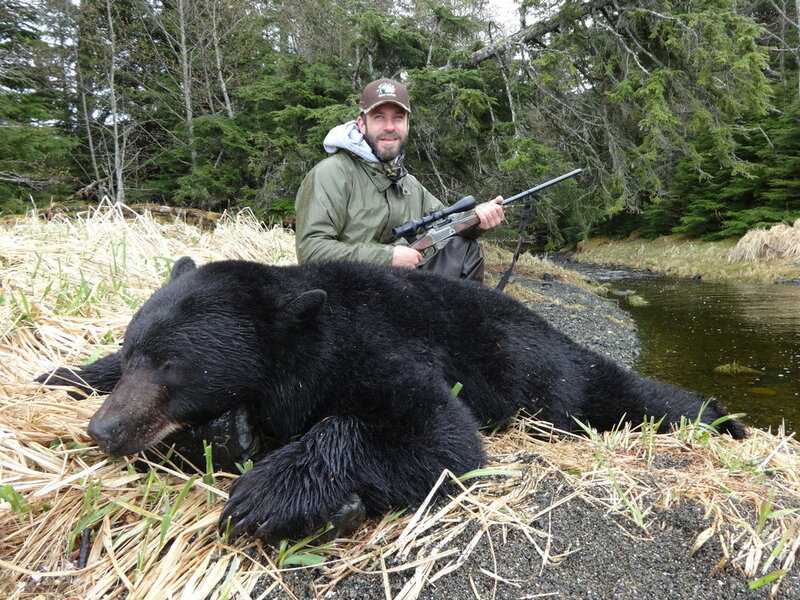 On these hunts we spend our time hunting on the streams looking for feeding bears. 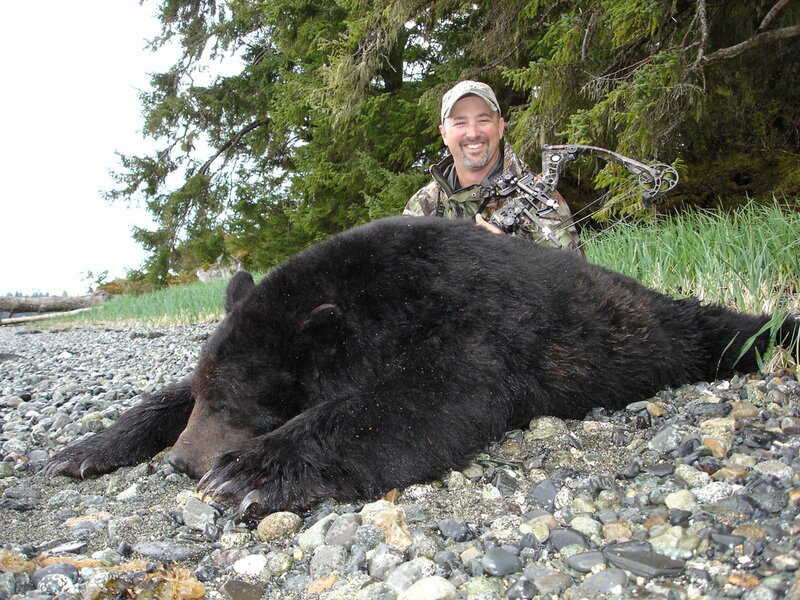 We get some very exciting close range action. 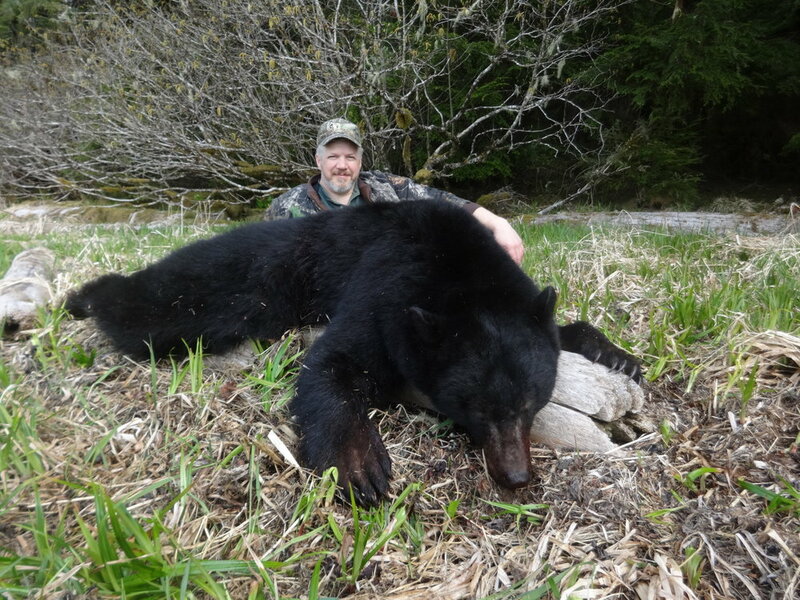 Both hunts are very successful. 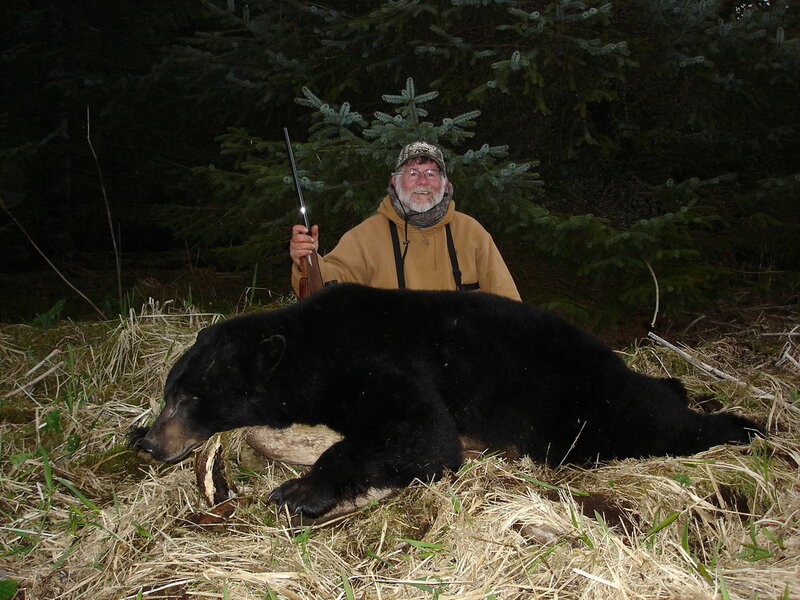 The spring hunts are less strenuous than the fall hunts because there is less walking involved. 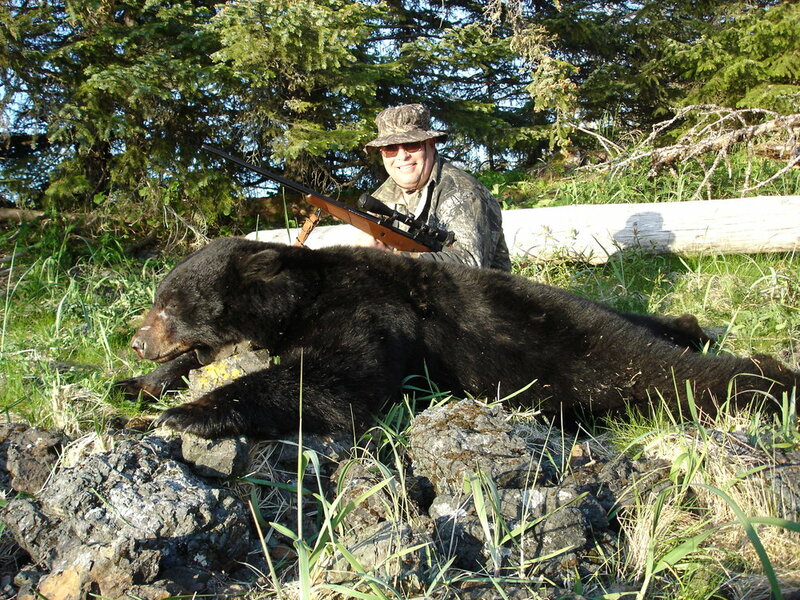 The majority of my black bear hunts take place on Kupreanof and Mitkof Islands in Game Management Unit 3. 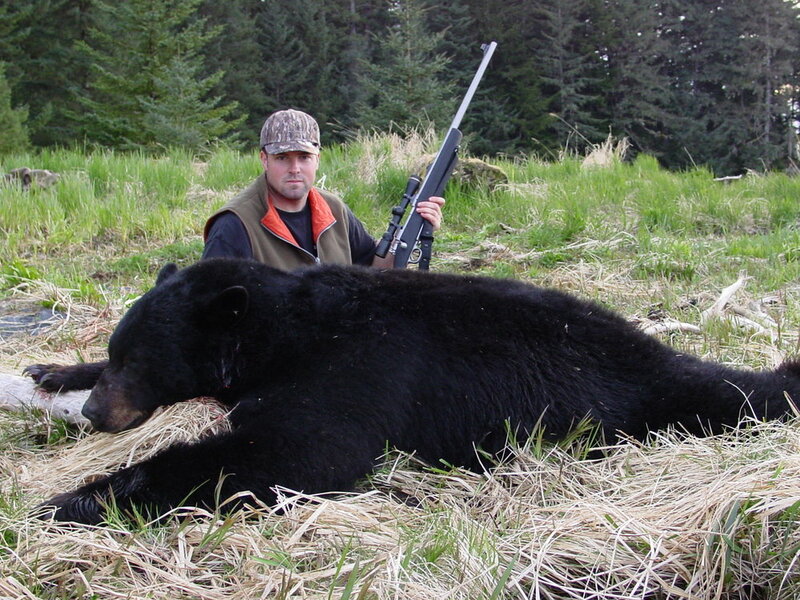 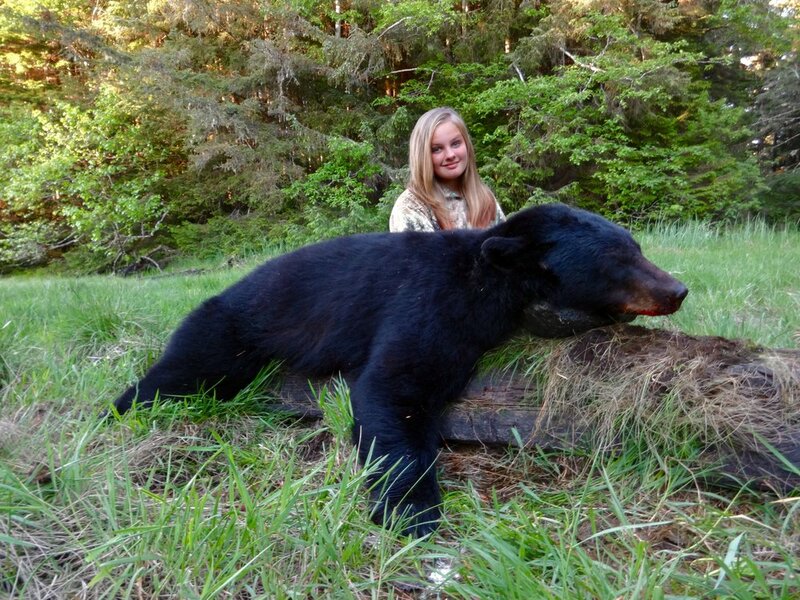 Do you have any questions about our Black Bear hunts?